An important part of launching the Arts for Advocacy guides has been to get the support of teachers and administration in partner schools. 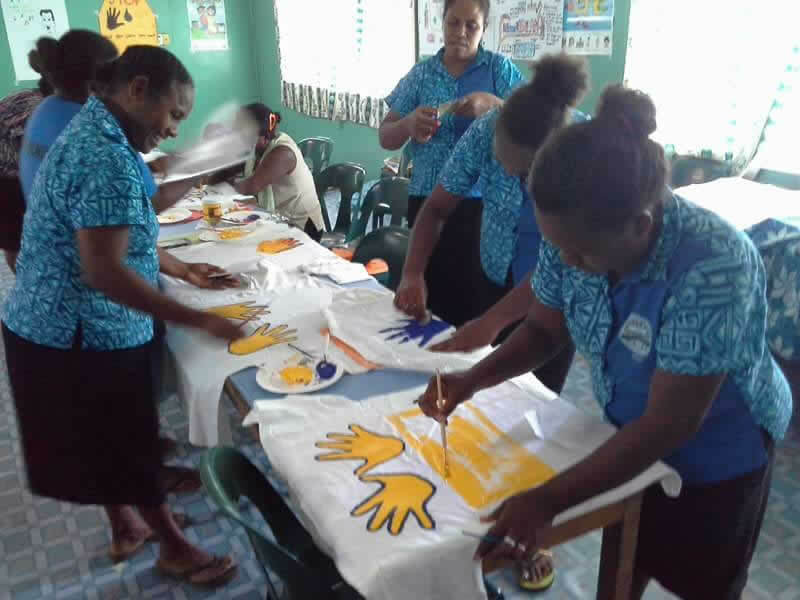 Live & Learn facilitated in-service programs with teachers from all the schools in the pilot project in Fiji, Vanuatu, Solomon Islands and Papua New Guinea. In Vanuatu the Arts for Advocacy guides were shared with national Curriculum Writers for assessment and inclusion with the approved Primary School curriculum. The in-service programs discuss child engagement principles and how to promote genuine student-led WASH Club activities. The teachers also get to be creative themselves, by trying some different arts-based activities to share hygiene messages. Teachers have commented that they appreciate learning a structured approach to creative advocacy planning, how to build messages into arts-based activities and how to improve their personal creativity and techniques for effective behaviour change messages.